Number 34 Bed and Breakfast Bed & BreakfastNumber 34 Bed and Breakfast is ideally situated for discovering the historic city of York. We are located in a quiet street approximately five minutes walk into the heart of York and all its superb attractions. Number 34 is a cosy, friendly, family run York Bed & Breakfast offering attractive, comfortable York guest house accommodation and delicious home cooked breakfasts to set you up for your day ahead exploring our beautiful city of York. We have five beautifully designed guest rooms at our York b&b, all containing en-suite facilities. The rooms also include colour televisions, hairdryer, hospitality tray & York welcome pack providing information on things to see and do in and around the area. 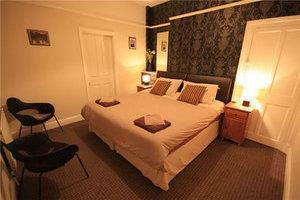 All our rooms are non smoking and can cater for single, double, twin & triple occupancy. A ground floor room is also available. Number 34 Bed and Breakfast sometimes limits bookings to 2 or more days. Check in times are 11:30am to 1:30pm and 4:30pm to 7pm. Other arrangements can be made on request. Double/ Twin En-Suite room. *Please request if this room is required as a twin in booking notes. If not notified the room will be made up as a double* Thank You. Double/ Twin sometimes limits bookings to 2 or more days. En-Suite room. Sleeps up to three people. This room can be let for double occupancy as either Double or Twin. Or Triple occupancy as Double + Single or Three Singles. Please advise on booking notes. Flexible (2+1) sometimes limits bookings to 2 or more days. Located on Bootham to the north of the city centre. Clean,well provided accommodation.Good location near to city facilities and excellent value for money. Would recommend and would be happy to stay again.